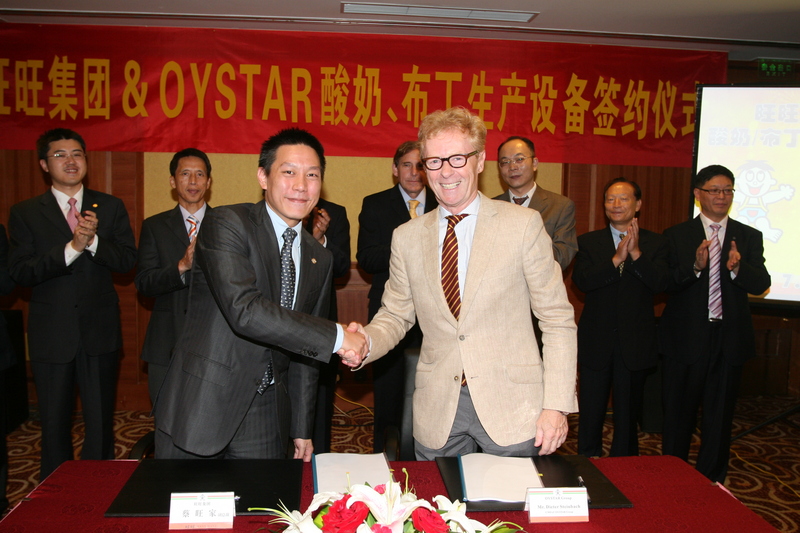 The OYSTAR Group has signed the biggest single order in the company’s history in China: adding dairy products to expand its portfolio, the leading food corporation “Want Want” purchased three machines in one fell swoop. Stutensee, Germany – September 03, 2012. 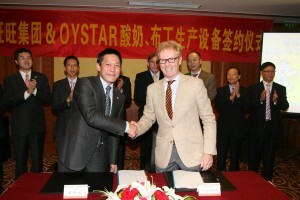 First, in June 2013, OYSTAR will deliver two model “EF 320” form, fill and seal machines from OYSTAR Erca to Shanghai, each of which will then produce 20,000 yoghurt cups per hour at the Want Want site there. Just one month later, Want Want will start up a “Flexline FL 8/8 CA” from OYSTAR Hamba: in the aseptic configuration, that machine will fill and seal 115-ml cups with pudding. Want Want is the biggest manufacturer of rice crackers worldwide and of flavored milk in China. The company generated a total of USD 3 billion in sales in 2011.With the decision to add yoghurt to its product portfolio, the company also signed a consulting agreement with the Japanese milk and confectionary manufacturer “Morinaga Milk Industry”, a longtime client of the OYSTAR Group. In accordance with that agreement, the two companies will cooperate in the use of their technologies used in the production of yoghurt.